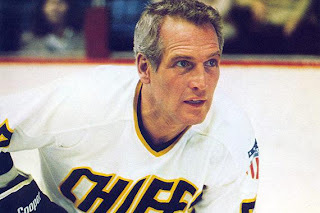 Having seen Goon a few months ago, it now seems clear to me that the movie either borrows heavily from (if you're feeling generous) or rips off (if you're not) the classic ice hockey comedy Slap Shot, which I saw for the first time this week. Struggling New England hockey team? Check. Violent tactics and thuggish enforcers brought in to the team to sell tickets? Check. Romantic entanglements off the rink? Check. However, whereas Goon was a vehicle for Seann William Scott, Slap Shot has significantly higher star power at its centre, with Paul Newman playing the team's player manager. Possibly because I have a fairly limited familiarity with the world of ice hockey, I didn't get all of the jokes and references to the sport, but due to Newman's excellent comic performance, I enjoyed myself all the same. My pick of the week goes to Boiler Room, a film about the grubby lives of a group of unscrupulous New York stockbrokers. The script and some of the acting performances don't quite measure up to the heavyweight pictures in the 'ruthless businessmen' genre (I'd put Alec Baldwin in Glengarry Glen Ross and Michael Douglas in Wall Street at the top of the pile here), but on the plus side, there's an excellent hip hop soundtrack and an endearingly odd lead actor in Giovanni Ribisi. I'll watch just about anything with Ribisi in it, whether it's a great movie like Lost In Translation, or a not so great movie (like Suburbia). Anyway, I think it's a positive sign that Boiler Room actually makes all the financial shenanigans seem exciting. A few weeks ago, I reviewed Aguirre, the Wrath of God, a Werner Herzog film in which a group of Spanish conquistadors get lost (and go a little crazy) in the South American rainforest. Fitzcarraldo is a Herzog movie in a similar vein, though set a few hundred years later (during the early twentieth century). 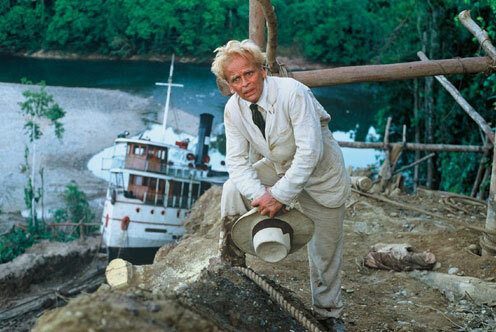 On this occasion we follow Brian Sweeney Fitzgerald (known as Fitzcarraldo by the Spanish speaking locals) as he attempts to access a previously inaccessible area of the forest in a bid to make his fortune as a rubber baron. Unlike the irredeemably greedy Aguirre, Fitzgerald is a more sympathetic character: he's a dreamer and wide-eyed optimist who decides that he can best achieve his goal by dragging a steamship over a large hill. I was a little confused by the ending of the movie, but I did enjoy Klaus Kinski's lead performance and the beautiful cinematography, which includes some stunning shots of the Amazon. 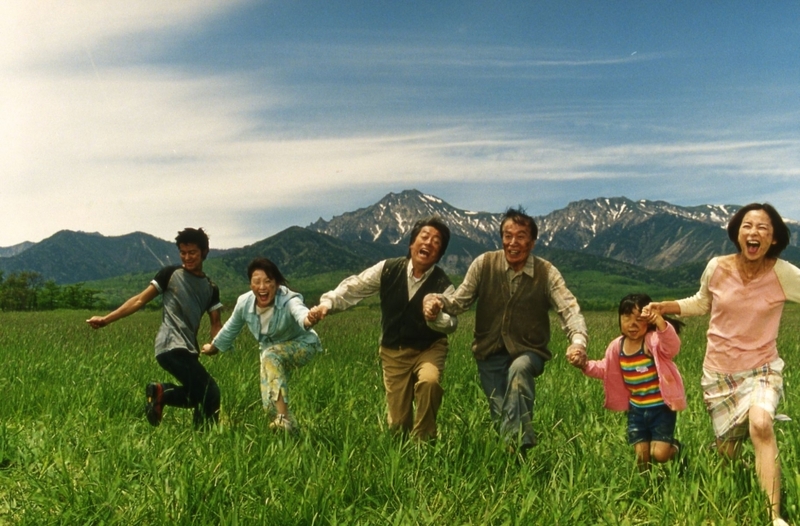 Finally, we have The Happiness of the Katakuris, a movie which I would describe as a sort of Japanese take on the early films of Peter Jackson, or (perhaps more accurately) as Shallow Grave: the musical. It's a bizarre film which really has to be seen to be believed. 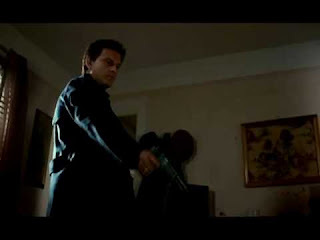 At the time, it was a bit of a departure for director Takashi Miike, who until that point was better known for his ultraviolent Yakuza pictures. Although it's a bit of a mess (in particular during a number of poorly animated stop motion sequences which fail to hit the mark), there are some genuinely hilarious moments amongst all the craziness. It's also one of the very few horror films you can sing along to.